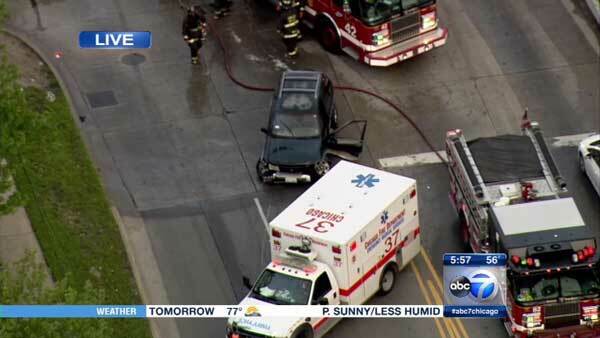 CHICAGO (WLS) -- A 62-year-old man was killed in a rollover crash on Chicago's South Side. Emergency crews responded to a call about a serious rollover or pin-in crash near the intersection of East 95th Street and South Cottage Grove Avenue around 5:30 a.m. Wednesday. Officials say the man's SUV struck the median and he was ejected, and the vehicle rolled on top of him. His identity has not been released. Eastbound 95th was blocked at Cottage Grove while crews cleared the crash. The street re-opened within the hour.